‘Giving Tuesday’ a charitable antidote to holiday indulgences - The Resident Community News Group, Inc. | The Resident Community News Group, Inc.
After enjoying a Thanksgiving meal with family and friends, and perhaps satisfying your holiday shopping itch by taking advantage of Black Friday and Cyber Monday deals, consider being charitable toward others by participating in Giving Tuesday, which takes place Nov. 27, the Tuesday after Thanksgiving. Now in its seventh year, the movement was started in 2012 by the 92nd Street Y and the United Nations Foundation as a response to commercialization and consumerism in the post-Thanksgiving season. Since then the movement has gone global, with more than 150 countries participating last year. In 2017, $274 million – a record-setting amount – was raised from more than 2.5 million contributions, as reported by the #GivingTuesday Data Project. That number is expected to increase this year. 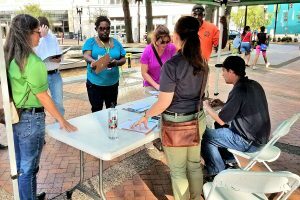 There are 145 participating organizations in Jacksonville, according to the Giving Tuesday website, making it easy to choose a charity or a cause to support. Below are just a few of the organizations that need your help. 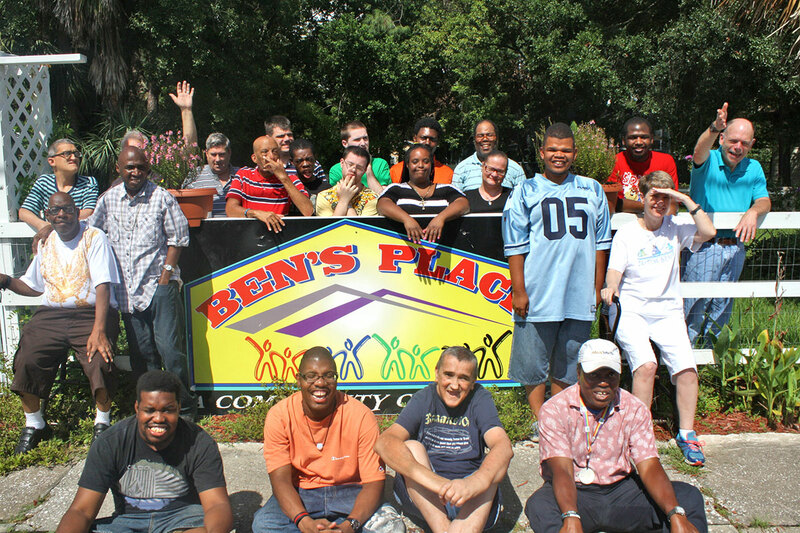 Ben’s Place provides a safe place for homebound people with disabilities to get out and make friends. At Ben’s Place, people with developmental or acquired disabilities have the opportunity to meet new friends, learn life and vocational skills, and serve others in the community. Many of the individuals served by Ben’s Place would otherwise be homebound with little interaction, and in many cases, their health conditions would remain stagnant or worsen. This year, Ben’s Place will have a meet and greet at their facility on the evening of Giving Tuesday, where they will be serving finger foods and sharing projects with their visitors. Changing Homelessness’ monthly downtown volunteer street outreach occurs the fourth Tuesday of every month. The primary goal of Changing Homeless-ness is to be the backbone for the 40 area agencies that provide direct services to the homeless. The Riverside-based nonprofit works with member agencies to help them improve their service models and determine the most effective and efficient use of funding in the community, provide ongoing training, and more. Last year, they used social media to help raise money on Giving Tuesday, and this year, during the week before giving Tuesday – which is Hunger and Homelessness Awareness Week – they will host an open house Thursday, Nov. 15, 5-7 p.m. at their facility, 660 Park St., where people can meet their staff, learn about what they do, and purchase a $25 honor card in honor of a loved one, with proceeds going to help the homeless. The Heart Cart is a familiar sight at Wolfson Children’s Hospital. Children with congenital heart disease who are served by Wolfson Children’s Hospital and UF Health, as well as their families, are eligible to receive services from The Healing Hearts Project. 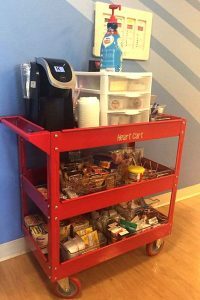 Those services include a facilitated support group for children and families, a fully stocked “Heart Cart” with snacks, toiletries, coffee and entertainment, heart surgery packages, surgery day meals for families and more. Last year, the nonprofit raised about $4,000 on Giving Tuesday by starting a fundraiser on their Facebook page. This year, they will join the global #GivingTuesday movement to raise money and awareness through social media with the #UNselfie, or the selfless selfie campaign. Individual and businesses are invited to use a template, write on it why they are an UNselfie, take a picture holding the sign and post it on social media using the hashtags “UnSelfie, “GivingTuesday” and #THHPJax. “Our long-term goal is to be able to fund a social worker and a feeding therapist at Wolfson Children’s Hospital,” said Stacey Merritt, president of The Healing Hearts Project. Medical staff at Volunteers in Medicine see a patient at the downtown clinic. Those who work but cannot afford health insurance are often the ones who fall through the healthcare cracks. 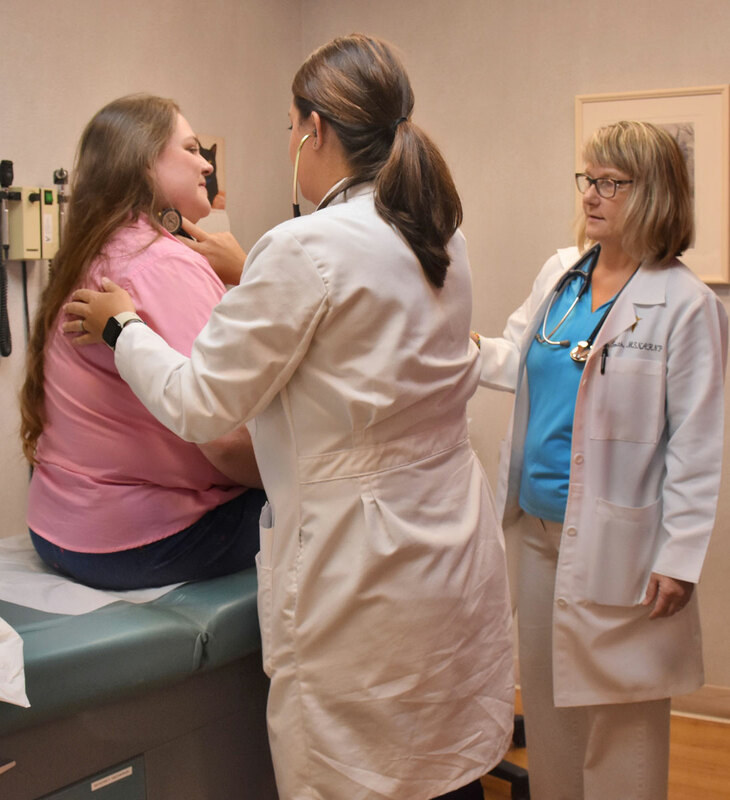 Volunteers in Medicine, located downtown at 41 E. Duval St., is a free healthcare clinic that provides outpatient primary and specialty medical services to Northeast Florida’s working, low-income, uninsured individuals and their families. The goal is to keep those North Florida vulnerable working individuals and their families healthy, employed and out of hospital emergency rooms. Along with attending to the immediate needs of their patients, they also focus on health promotion and prevention of disease, illness, and social problems. Last year, the organization sent out a mailer that arrived on Giving Tuesday, but this year they will turn to social media to get the word out. For more information about how you can help, visit the Giving Tuesday website at givingtuesday.org, click on the menu icon, then scroll to “Happening Near Me” in the “Individuals” column and click for a list of local charities.